Thanks for signing up with Zoho Writer! Zoho Writer is the word processor designed for you, the next generation web citizen. Built using AJAX technology, it's fast and revolutionizes the way you work with documents. Having all your documents online (and offline too! we'll get back to that later!! ), you have access to them from any computer, at home or at work. And no more emailing them back-and-forth to your colleagues, clients or friends for review, thanks to its instant collaboration, inline commenting and chat facilities. Bold, italicize, underline, set back ground color & color your words, link to a web page, set margins, use cool smileys and do much more. Use the same keyboard shortcuts as with any other word processing application for accessing these functions. Most functions are available at a click, thanks to the friendly toolbar. And for the super user in you, a few extra features are accessible with just an extra click. Want to decorate your document with pictures & images? Insert pictures and images in your Zoho Writer documents as you would in a normal word processor. Pull and place pictures both from your desktop as well as from the web. 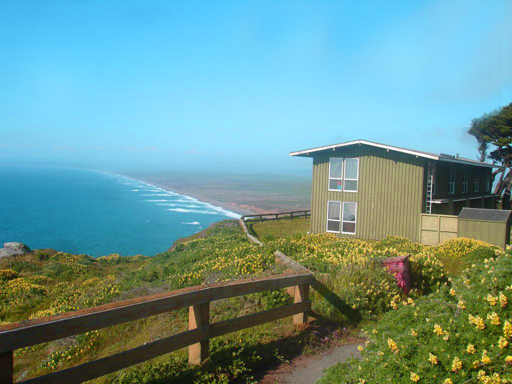 See how the image/picture looks like using 'Image Preview'. Shrink to fit in case the image/pic is of larger size. And set properties for the inserted pic/image like border, spacing as well. Get the best of both worlds. Tags are the new folders. Not sure whether you want to put a document in the Sales or Marketing folder? That's where tags-as-folders come in. Make the document available in both the folders! Now, isn't that cool? Being on the web, you can post to your blog from within Zoho Writer. As you have seen above, Zoho Writer's WYSIWYG editor is more feature-rich than a typical blog editor's. Be it Blogger.com, Wordpress.com, LiveJournal, TypePad or any blog that supports metaWeblog API, you can make the post from Zoho Writer. You can add tags and make the post optionally as a draft as well! Add inline comments to particular paragraphs/sentences of a document. You & your friends (or your team members & your boss) can add comments in a document you are collaborating on. Adding contextual comments is very useful for reviewing purposes. And this comes in handy for journalists/editors & teachers/students, in particular. Insert Tables Make tables and adjust the cell properties with ease. Pick easily the number of rows/columns. Instead of mailing your documents to everyone, share them. And Zoho Writer makes it more than just sharing. 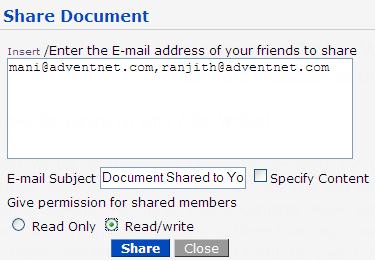 You can give Read or Write permissions for each sharing participant. Collaborate real-time on the document and there's the added chat functionality as well! Not sure you'll have internet access all the time? Zoho Writer allows you to take your documents offline. You can view as well as edit your latest 25 documents offline. Changes made during offline editing will be synced with the online version once you switch. Zoho Writer comes from the widely diversified stable of Zoho. Signing up with Zoho Writer allows you to access a plethora of Zoho apps - be it our web based spreadsheet tool, Zoho Sheet, the online presentation creator, Zoho Show or the net meeting enabler, Zoho Meeting. The integration doesn't stop with just single sign-on. You can embed sheets and slideshows. 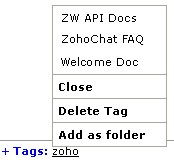 And here's more - any change done to the sheet/slideshow gets automatically reflected in your Zoho Writer document! Those are just a few things that can be done with Zoho Writer. You will get to discover more as you work with it. We have a very active user forum at http://forums.zohowriter.com. And your queries, valuable feedback comments are most welcome at feedback@zohowriter.com as well. Again, thanks for signing up with Zoho!